Maharashtra’s education board recently received a lot of flak for wanting teachers to conduct remedial classes to help underperforming students, but not defining how these classes should be conducted.The aim of this initiative was to ensure that poor performance was not a reason to leave behind students and to give them focused attention to enable them to succeed. It is clear that terrible implementation led to the failure of a well-intentioned policy. Smaller groups receiving more focused attention are bound to perform better, but the paucity of time, resources, and finances often make this an impossible task. This paucity can be addressed via technology. 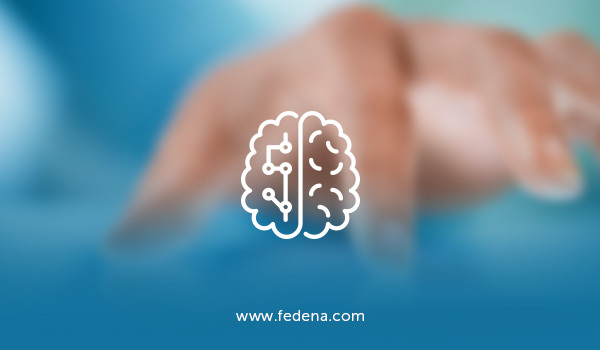 Fedena allows teachers and students to create discussion groups, share individualised assignments, and track learning at an individual level, leading to more focused teaching. Even in the most progressive countries, teachers have observed that women are often sidelined, spoken over, and ignored during classroom discussions. Considering how effective these discussions can be in understanding and ideating new concepts, the lack of space given to an entire gender can be exceedingly harmful to our young achievers. While the problem might not be eliminated entirely (after all, the “there are no girls on the internet” trope exists for a reason), platforms like Fedena are inherently structured in a way where silencing is not as easy, since discussions tend to be in smaller, more dedicated groups leading to more focused engagement. Students in remote parts of India, are usually underfunded, under-resourced, and under-supported, leading to poorer performance compared to their urban counterparts. This creates a caste system in education – a field that is supposed to be the key to social mobility. Technology can often be an equalizer for students who don’t have access to the same resources their urban peers do. Virtual classrooms bring rural students closer to teachers who might be working out of a different part of the world, access to learning materials has been made easier than ever through deeper internet permeation in our villages, and platforms like Fedena allow for educators to remotely support and track students who might otherwise slip through the cracks. Special needs students are often divorced from the mainstream because traditional thinking leads us to believe that interaction with mainstream students is ineffective. However, research shows this is not the case. Interaction with mainstream students is helpful to students with developmental delays because they learn from their peers. It is not just they who benefit, however. Special needs students also make effective tutors– where they affect their mainstream tutees’ achievements and behaviors. Online platforms are one mode by which such interactions are facilitated. Environmental challenges that adversely affect special needs students who might suffer from sensory sensitivities are eliminated, it gives both mainstream and special needs students time and space to reflect on their thinking and responses to each other, and the ability to define focus and group size aids learning. In her book, Quiet: The Power of Introverts in a World That Can’t Stop Talking​, New York Times bestselling author Susan Cain, asserts that our educational institutions are designed for extroverts. What happens to our quieter students then? Platforms that allow for more regulated opportunities to engage are a solution, and this is where education technology comes into play. Online discussions on Fedena can be broken down by group or subject, leading to engagement that is more focused on the topic, rather than the vagaries of social interaction. The distance and time offered might also encourage those who often don’t speak in the classroom to share their thoughts after some reflection. Readers of the classics will be familiar with an “expensive education” being a significant part of character descriptions. It didn’t necessarily only apply to the heroes, but it certainly singled people out to be of a certain pedigree. We have spoken previously on this blog about how education is one of the biggest levers of change for Indians and why it’s so highly valued. What parent would opt to give their children the best possible start in life? The classics remain with us – we still tend to associate higher school fees with the quality education. The trope of the self-sacrificing parents foregoing worldly comforts and basic necessities in order to be able to afford their child’s tuition and books is as old as Bollywood itself. But the trope doesn’t stray too far from the truth. Parents scrimp and save for the child’s tuition, school books, and uniforms. The nightmare of your child getting into a top-ranked university and being unable to pay for it must have kept many a parent awake in the dead of the night. But does this thinking have any basis in reality? Our government certainly seems to think so, if the recent maintenance of educational institution’s tax neutral status under GST is any indicator. 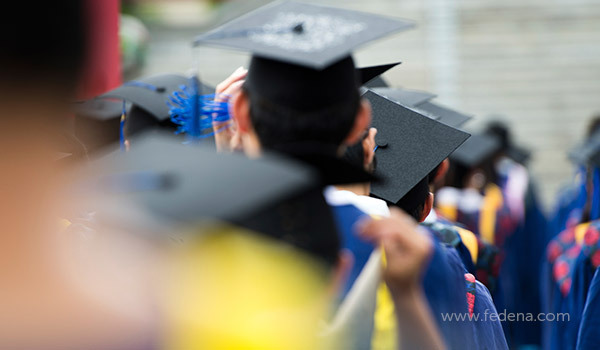 Educational loans are one of the most popular services offered by any financial institution. EdTech is one of the fastest growing sectors projected to reach $252bn by 2020. But let’s be realistic. Despite our propensity to pay through our noses if it means our child will get into a top engineering college, economising on education is fast becoming a necessity in these times of massive inflation. Things might have hit a boiling point. From Gurgaon to Ghatkopar, there is been a spate of parents protesting predatory school fee hikes. Parents have moved on from informal networks to dedicated portals where school materials are shared or traded. While education is a big business in India, not all institutions are predatory. It is undeniable that they too face ever-increasing costs in their aim to provide quality education. Infrastructural demands have made college education costs skyrocket, and we are starting to see this trickle down to schools, with real estate prices skyrocketing over the last few decades in India. Course fees, books, transport all inflate the bill. While some expenses are justified (can one put a price on the impact a good teacher makes on their students’ lives? ), educational institutions must cut costs. This is where educational technology comes into play. One doesn’t need to rely on hand me down uniforms, second-hand textbooks bought at the raddiwala’s, a parent’s jugaad, or government subsidies to save a little. Institutions have the power to effect real change when they use platforms like Fedena. 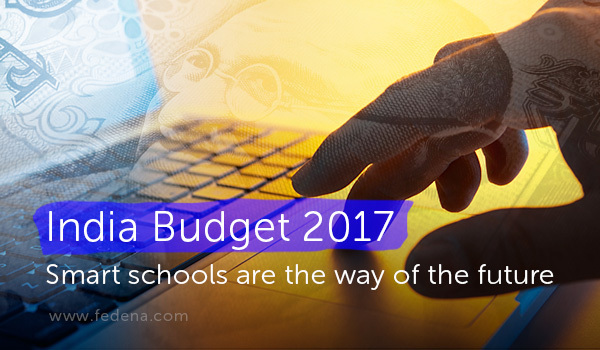 They allow schools to lower their bill while enabling them to continue working efficiently and effectively. It isn’t just student-teacher relations that improve with the increase in personalised teaching. Administrators are relieved of the burden of financial management, resulting in increased work efficacy and reduced HR costs. 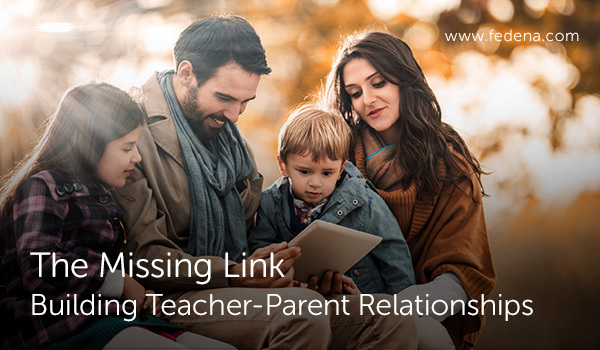 Parent-school relationships are also bettered when teachers and administrators are easily able to connect over their ward’s schooling – whether it better transport management or easy access to classroom progress. 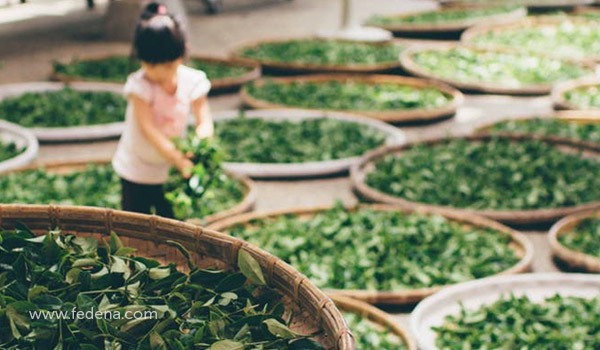 Economising isn’t just the purview of policy or an anxious parent. Institutions have already begun investing in high tech equipment to provide better schooling for their students. So why not leverage the power of learning technology a little more? The payoff is undeniable. An education no longer needs to be expensive to be effective, efficient, and practical – smart schools are the intelligent choice. The joke that Indians aspire only to become a doctor or an engineer is so old, it is now a reliable cliche stand up comics rely on to get an easy laugh. But, as with most stereotypes, it arises from a collective mentality we all seem to buy into. This is reflected with the rapid development of local economies in Guntur and Kota built around engineering coaching classes, massively successful films about medical school life spawning a legion of sequels and copycats, and the popularity of an entire genre of books where the protagonist is invariably a luckless engineer or engineer in the making. What is ironic here is that despite the fact that a significant number of Indians live and die by their engineering dreams, the actual number of engineers found to be employable in core engineering roles is a measly 7%, according to a recent study that surveyed 1.5 lakh engineering students who graduated in 2013. Indians are the masters of jugaad – cracking an exam is not about the concepts we learned in class as much it is about the strategies we apply to maximize results with minimal effort. This attitude is born in school, and understandably so. Our future depends on our GPAs, exam scores, and the college that we eventually end up graduating from. But we are now starting to see the ill-effects of such an attitude. The system we have all been working so hard to beat is falling apart. Our brightest have been relegated to mindlessly repetitive tasks, and we have essentially become the support function of an innovative world. It is undeniable that we, as people, dream of more. The same minds that are stuck making pivot tables in spreadsheets day in and day out head to western shores to build the most interesting and successful products in the world. It is not lack of ambition that is trapping us in this status quo. Industry-level and Government support through incubators, accelerators and State and national level schemes for our young entrepreneurs exemplifies this. But we are sorely under-equipped to take advantage of all that is being offered to us. What makes someone employable as opposed to just employed? In addition to the technical know-how taught in our institutions, it is vital that we build a more entrepreneurial bend of mind in addition to some practical reasoning skills. It is not enough to merely mug a textbook and vomit it out on the answer sheet every few months. But how does one build this into the curriculum? While we speak of engineers, these are skills necessary for everyone, from future-lawyers to future-artists. 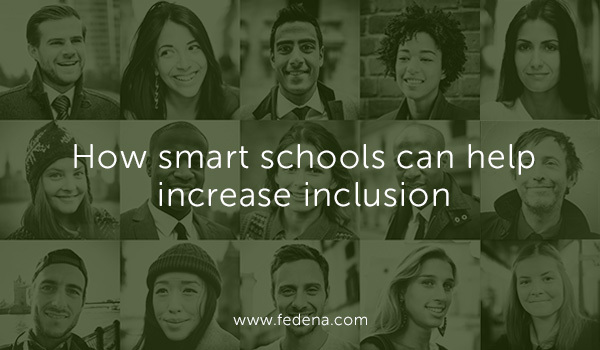 We have previously spoken about how smart schools can hyper-personalise education, resulting in increased student success and how Fedena can be customised to offer curated modules to select groups of students. 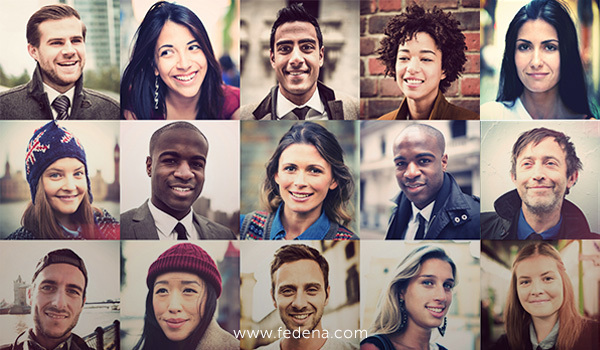 Incorporating group work, assignments that are built around problem solving, and opportunities for discussion are the skills we end up using most on our jobs and that are inherent in Fedena’s functionality. Studies show that likeability (i.e., the ability to work with people in a pleasant and congenial manner) is one of the most important hiring determinants. It usually takes us until our first job to realise how little our schools have actually taught us, but this doesn’t have to be the case anymore. A fresher should not be derided, but a fount of information for organisations to glean new ideas from. Education technology in our schools is key to eliminating the caveat of “Minimum 2 years experience required” from a job description for entry level positions and the time to implement it is now. Exam season is in full swing as evidenced by the thrum of nervous energy running through every school and house that has a student writing a board exam or entrance test this year. From revision techniques to tactical strategies on how to approach a paper everyone, from the school principal to the local sabjiwala, has advice. They promise their exam horror story contains that one lesson that is going to help you crack this exam, but as every student – current and former – can remember, nothing anyone says seems to matter. Exam anxiety is its own special kind of hell. While the student bears the brunt of it, one can’t discount the pressure every family and school goes through during this time – exams are equal opportunity stressors. But vanquishing the demon that is exam related stress is a journey every student must take alone. It is the first big real-world challenge most of them will face. This doesn’t mean teachers and parents can’t help along the way. Every Luke needs his Han Solo, every Frodo his Sam, and every student all the support to make the process a little less burdensome. Classroom technology can be one of the most useful tools in our arsenal during this time. So, how can students, parents, and teachers make the best use of them? Nothing motivates you to suddenly index and colour code all your study material than an exam the next day. Finding that one scrap of paper you once jotted down some notes on while bored out of your mind in class can make or break your exam. Organising all your textbooks, assignments, previous exam papers and notes is what one’s future professional success hinges on – or at least that’s what we tell ourselves. These minor obsessions are just excuses to avoid dealing with the overwhelming sense of doom we feel when we are confronted by the scale of study materials we have at our disposal. But getting bogged down by the minutiae of collating this material is just transference of exam anxiety – and a waste of time. Fedena helps create a repository of assignments, exams, notes, and group discussions throughout the school year that students can easily access whilst revising. No more mucking about figuring out the perfect organisation system after finding every single bit of info you might have jotted down. Let technology do the organisation for you, while you focus on what’s important – effective studying. The Uroboros of studying and revising during exam time can be oppressive to the say the least. Taking a break to get some fresh air, zone out in front of the TV, or even have a chat with someone that doesn’t involve the question, “So how are revisions going?” is vital. The tenacity to keep going over weeks of study break and exam can break anyone – where does one find the motivation to keep going? Setting up study groups can be a solution that addresses both these issues. Having deadlines and concrete goals to work towards with friends makes students feel less isolated. It also gives them an opportunity to discuss their anxieties with someone who can truly empathise. Smart classrooms extend beyond just the four walls of a physical classroom, and so does the support. 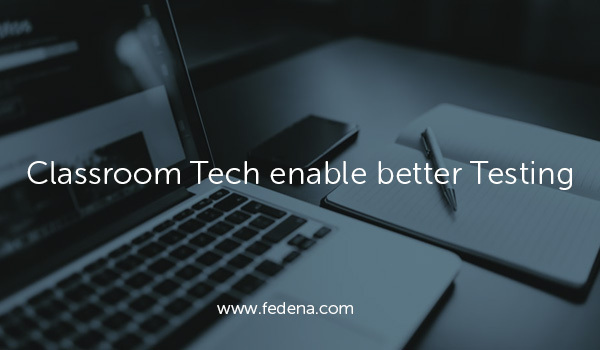 Fedena allows teachers to give their students personalised support remotely. Even during study breaks, teachers can connect with students one-on-one. Whether it be answering a last minute doubt sending a student into a panic, or providing mental support to a fatigued child, Fedena’s personalised messaging system allows teachers to connect with students, parents, and administrators – allowing all of them to work together to help a child triumph during the first big challenge in their life. A recent piece by Christina Thomas Dhanraj has reinvigorated the conversation around diversity in the workplace. Dhanraj speaks eloquently about the increasing presence of Dalit women in corporate spaces thanks to anti-discrimination laws and increasing awareness about corporate diversity and inclusion – largely a reflection of the policies of most multi-national offices. The seeds of Dhanraj’s experience in corporate India are planted in our schools. Students from these communities are present, but that does not mean they are included. In a previous blog ,we spoke about how increasing personalisation in curriculum leads to better learning for students. But what about diversity in the classroom? This continues to be a touchy subject, especially in a country like India, where increasing homogenisation is the preferred solution to differences. We are more focused on equal experiences rather than equitable experiences. This is a fallacy propagated by our desire to be fair and our solution to be as easy as it is quick. But a one size fits all solution rarely addresses the concerns of the most marginalised and seems to cater more to the majority, and often more privileged, group. We live in a society where the hardest challenge faced by people across classes is social mobility. Education is seen as one of the few methods by which people are able to change their circumstances. Are students from marginalised communities receiving the best quality of education they could possibly receive? A seminal study by Myra and David Sadker demonstrated that from kindergarten to grade school, women were often sidelined in classroom discussions, and consequently classroom learning. Research demonstrates that this experience is shared by students from other marginalised groups – delineated by caste, class, ethnicity, race, etc. While India-specific data is not as robust experiences shared by marginalised students reflects this bias. Silencing and social exclusion in the classroom undoubtedly affect the future professional personalities of our students. One cannot discount the pressure on teachers in such a scenario. The most well-meaning of teachers struggle with the paucity of time and resources. Not only is this heart-rending for a teacher deeply invested in her student’s success, but it is also draining and stressful to feel like you’re constantly fighting a losing battle. While capabilities and support might be perennially limited, no compromises can be made when it comes to our children’s future. So how can teachers effectively address exclusion? To start with, the deliberate inclusion of students is vital. Calling on a reticent student while is not the most pleasant experience for them and can often make them feel like they are being called out or put on the spot. This is why teaching techniques like the jigsaw method or learning by teaching are becoming increasingly popular. These methods encourage students to support their own and each others’ learning in low-pressure environments – through discussion in smaller groups or by gently encouraging them to take on empathetic leadership roles. Technology can also be a helpful tool when it comes to democratising classroom participation. 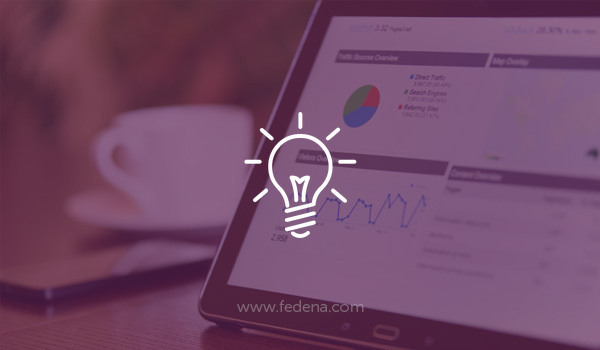 Fedena (our student management system) allows teachers and students to set up discussion groups – large and small – for a variety of reasons. Whether it be discussing a problem set for a homework assignment, or delving deeper into a discussion that began in history class, the social pressure of participating in classrooms is reduced. Students have the opportunity to formulate their point of view before “speaking” – giving them an opportunity to contribute insights they might not have had a chance to otherwise. It is important to start having honest discussions and make deliberate efforts to address these issues. Learning technology is only an enabler – ultimately it is the willpower of educators and parents that will carry a student through. Indian parents tend to view education as their child’s job. This makes sense – their generation was often the first one to experience significant social mobility, with access to more luxuries like FMCG goods and westernised modes of living in urban centres. It’s no wonder that these amenities seem fleeting to them. It must feel like they could so easily lose it all. Education is the one aspect under their control that will ensure that their children will continue to at least maintain the standard of living they grew up in, if not reach new heights. This is likely why Indian culture tends to place such a high value on education. From working long hours to save for higher education to actively monitoring their child’s performance in school, Indian parents are very highly involved in their child’s schooling and committed to ensuring they have the best possible options for a bright future. An interesting point to note here, however, is that this drive seems to be confined to the two-way street of a parent-child relationship. Beyond trying their hardest to ensure that their child gets into a school that is ranked well and has a history of producing successful students, parents don’t seem to prioritise forging a relationship between themselves and the educators working with their children. Students build a learning and mentoring relationship with their teachers and dealing with the day to day in the institutional structure of a school teaches them discipline and organisation. Parents teach their children how to plan for their professional futures and take an active, one-on-one interest in their progress. So why don’t teachers and parents work together to achieve a common goal – the child’s success? For a parent, dealing with the institution educating their child might seem daunting. For overworked educators, the task of maintaining a continuous feedback loop with the parents of each individual child seems overwhelming on top of all their other responsibilities. How do we make this simpler for both parties? Oftentimes, the first meeting between a parent and teacher occurs well into the school year. A teacher is asked to meet and share feedback and concern for anywhere between 30 to 60 (if not more!) students in a day or two. A parent is left thwarted after only getting a few minutes to discuss their child’s future. 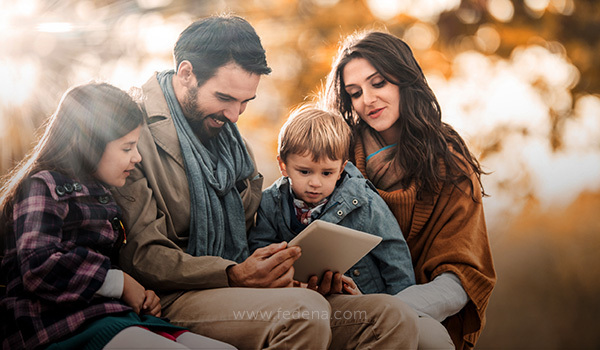 There exists a better way of doing things – Fedena school ERP allows parents and teachers to communicate quickly and easily through their messaging system. The time investment is negligible, but the resulting rewards are anything but. Establish communication on the first day of school, instead of waiting for an issue to crop up. Building a relationship with a parent where both successes and opportunities for improvement are shared allows educators and parents to work as a team. Classroom technology allows parents to track their children’s assignments, grades, and in-school activities remotely. It empowers parents to have a more comprehensive view of their child’s day, rather than having to settle for a lacklustre “Fine” when a child is asked how their day was. “It takes a village to raise a child” might seem an outmoded adage in these modern times, but no parent or teacher is going to turn away from a helping hand. A lack of time and resources should not be a deterrent. 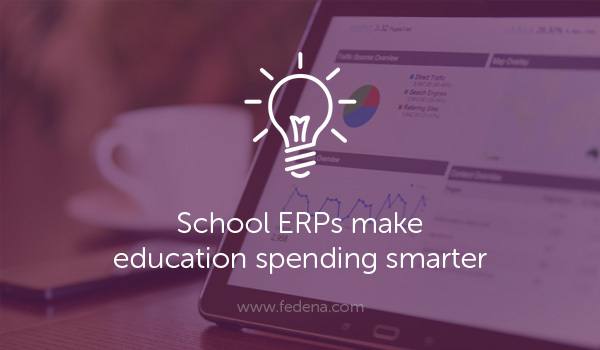 School ERPs like Fedena allow teachers, administrators, and parents to work together in real-time to ensure every student stays on track at school. With features that allow administrators to communicate events and fees to parents and parents being able to monitor whether their child got on the school bus, education technology is forging a strong community for schools and colleges alike. 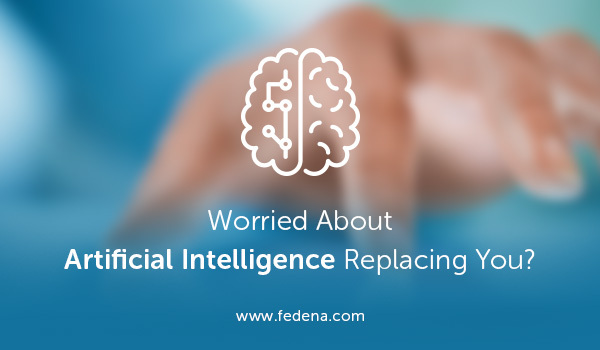 Worried About Artificial Intelligence Replacing You? Some of you might be intimately familiar with the terrifying experience of waking up in a cold sweat in the middle of the night, worrying that you’re late for an exam that you completely forgot to study for. Except you’re an adult, well past the age of being forced to down your itchy uniform every single day, and haven’t had to sit for an exam in ages. This is all just a bad dream. That last question is one that educators and education researchers have been tackling for a while now. Do future engineers need to know how to make papier mache mask? Why must the authors of tomorrow learn probability today? We seem to be personalising everything, so why not our learning in school? Surely focusing on what interests us and what we’re good at would be a more fruitful use of our time. Silicon Valley seems to agree. EdTech innovations that have been on the rise, with the market growth projected to hit $252 billion by 2020.This is unsurprising with increasing demand for quality higher education. Physical universities can no longer keep up and specialisation is imperative with artificial intelligence already taking over process-oriented jobs. Simply put, to ensure we are the ones who run the machines, and not vice versa, we must innovate education. Alternative smart schools have already broken ground with implementing this thinking, allowing students to work how our most agile start-ups do. Students design projects with goals that take into desired learning outcomes and their own personal interests and then set metrics for success. They think about how they could solve real-world problems using the latest classroom technology at their disposal. These students seem future ready. India is still far away from this seemingly utopian model of schooling. Our system is still built extremely on exam-driven and marks orientations.It certainly seems to have worked for us so far, especially in STEM focused fields, where our ability to quickly parse large quantities of information and use them to generate effective results have stood us in good stead. Perhaps there exists a middle ground between being an all-rounder and a specialist. As we continue to work with our exam oriented model of schooling, we must leverage all tools that empower young learners to create a more personalised system of learning – whether it be individualised assignments for each student tailored to their abilities, group discussions that delve more deeply into the nitty gritties that interest a learner, or personalised, yet comprehensive feedback from teachers, platforms like Fedena allow a level of personalisation that can be customised to whatever education board the school falls under, learning model one believes in, or personal learning goals a parent and child have set for themselves. A happy byproduct of this customised schooling would be the sharp reduction in those persistent “I failed every exam and have brought dishonor to my family” nightmares, replaced by the eager excitement one experiences when embarking on something new. Last week, the Central Board for Secondary Education (CBSE) announced a change in the assessment structure for Class X students in CBSE schools, effective for the 2017-2018 school year. Currently, students in Class X follow a dual-scheme system, where schools conduct exams internally, and allow students to study limited portions of the curriculum for the exam. The Board has now revised this structure, to enable students to have a more continual learning experience. The scholastic assessment portion of the revised assessment structure consists of two sections: Internal Assessment, conducted by schools, and External Assessment, conducted by the Board. Internal Assessment will comprise 20% of the scholastic assessment portion of the structure and will focus on periodic testing (10 marks), notebook submission (5 marks), and subject enrichment activities like lab work and speaking and listening skills (5 marks). Schedule and syllabi being tested have been left up to the discretion of individual schools. The Board will then conduct External Assessments, which will make up the remaining 80% of the scholastic assessment portion of the structure. For both internal and external assessments, the student must score over 33% in each subject in order to pass. Along with the external assessment score, the average of a student’s two best scores will be considered towards the final score. In addition to the scholastic portion, provisions have also been made for co-scholastic activities like art, physical health, and work education or vocational training and disciplinary goals like attendance, sincerity, behaviour, and values. Teachers will grade students on these areas on a 5 point grading scale, from A to E.
Periodic internal testing gives students a chance to learn their curriculum in a staggered fashion and assess where they stand throughout the year. The likelihood of a student being unpleasantly surprised by a poor score is minimized, since students will repeatedly be tested on smaller sections of the subject before an external assessment is conducted. This gives students the opportunity to revise subjects in manageable amounts resulting in better learning and recall. Technology in the classroom also helps keep better track of learning at an individual level. 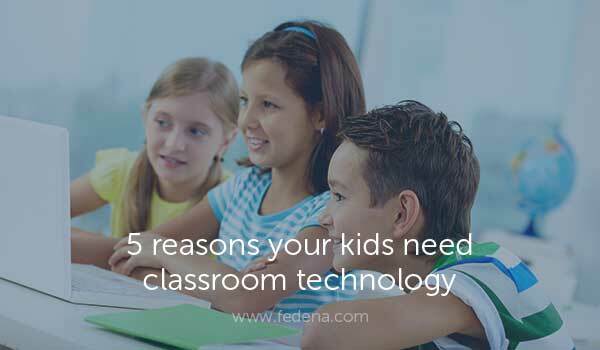 Fedena allows students to communicate with teachers, form study groups with their peers, and submit coursework and tests easily, allowing them to stay focused on learning, rather than the intricacies of testing. Teachers will benefit from the amount of data they will have one each system. If efficiently implemented, a teacher will be able to have a real-time understanding of the student’s comprehension and recall of the subject matter being taught. While continual assessment might seem like extra paperwork for the teacher, use of tools like Fedena makes things a breeze. Fedena allows teachers to test, post grades, and give personalised feedback to students easily and efficiently. In States like Maharashtra, the previous CBSE rule of awarding grades instead of scores resulted in an overwhelming amount of paperwork for administrators who had to reissue separate marks cards in addition to grade sheets for students apply for Class XI or Junior College after Class X. With the new assessment structure, both grades and marks will be awarded, making the process easier. Administrators can also use tools like Fedena to track student performance and issue grade reports in real time for every student. Changes in how we teach and assess learners are inevitable as we learn how to more effectively educate our students. However, the worry that structural disruption derails learning is a valid one. How do we ensure that the impact of change remains positive? 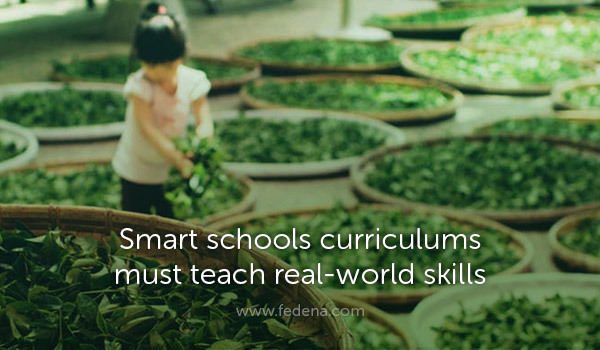 The use of smart school tools like Fedena allow schools to rapidly deploy changing rules with minimal damage to a student’s learning. A student’s test scores is just a representation of all that they have learned over the course of a year. It is vital to remember that the process must reflect their potential, not hinder it. Why Smart Schools are no longer an option, but a necessity. Education policy is an issue that is as divisive as it is important. Nothing has exemplified this more than the recent nomination of Betsy DeVos, a controversial figure in education, for the position of US Secretary of Education under the Trump administration. In addition to her seeming lack of knowledge about polarising positions in education, one of the issues DeVos was raked over the coals for her support of increased privatisation of public education. This would strike a chord with parents in India. It seems obvious that for their child to achieve success, a private school education is not an added advantage, but a necessity. Even those from economically weak backgrounds prefer to send their children to private schools over government schools. This, despite the fact that over the years, between 2006 and 2013, we have enhanced spending on government school education from 2.2% to 2.68% of the GDP. But has this increased spending resulted in better learning outcomes? A 2016 Annual Status of Education Report says no. The percentage of children able to perform division has nearly halved, and only 25% of standard five students are able to read English sentences. These statistics are dismal, to say the least, and it goes to show that funding is not the only factor that contributes to a child’s success in school. Private schools are increasingly popular due to better student teacher ratios, enhanced learning environments, and increase quality of education. Even in rural areas, parents prefer to send their children to private schools – totalling up to nearly a quarter of rural students being enrolled in one. But what does this mean for the remaining 75% who don’t have access to or are unable to afford them? Complete privatisation of education is an exclusionary solution. Instead, we must focus on replicating the enhanced learning infrastructure and hospitable environment that private school students enjoy. Until this happens, learning outcomes become a secondary priority when faced with the overwhelming task if keeping your head above water in any government school. Education technology can help bridge this gap. From online classrooms eliminating the need for long treks to an overcrowded school or providing reusable electronic materials reducing our dependence on paper resource s, these innovative ideas help all our students achieve their potential – not just the privileged few. But let’s get realistic – in a country like India, scaling up solutions quickly enough to address present day, on-the-ground needs can feel like one is forever playing catch up. A perennially overworked government school teacher wears many hats; they are counsellors for parents, caregivers for students, and often the only educated person making decisions in the local government. Tracking the progress of every child and empowering them to achieve their learning outcomes in such a scenario becomes a Sisyphean task. School management software is a low-cost solution. It allows people to work remotely on a safe and secure platform. School ERPs allow students, teachers, and administrators to stay on track through automation of repetitive tasks like coursework submission, grade assignment, and fee collection. Individualised attention for every student through the online messaging system, study groups, and library management system allows teachers to aid students every step of the way. Smart school solutions are thus vital for the underprivileged and under-resourced, and it is high time that we leverage this technology to also get smart with our spending – the children need it. The landscape of education and the role of a school in society in fast changing. From being a basic infrastructural complex where knowledge and academic skills were transmitted to the current scenario where the school has evolved into a complex institution, there is a tectonic shift in the role and responsibilities of a school. Beyond the core skill of imparting education, schools have to undertake numerous activities, teach various life skills, span across locations, connect students, 3rd party vendors, teachers, administrators and other academic staff across time and geographies. Schools need to put in additional efforts to increase their proficiency and fulfil the needs of various departments and ensure that the educational institution is functioning efficiently. Schools today, face a constant demand for data, which needs to be immediate and accurate. In the midst of this, it is often easy for a school to lose its focus from the student and find itself distracted by constant administrative pressure. However, an outstanding feature of our society today is that we live in a hyper-connected world, an era driven by technology. 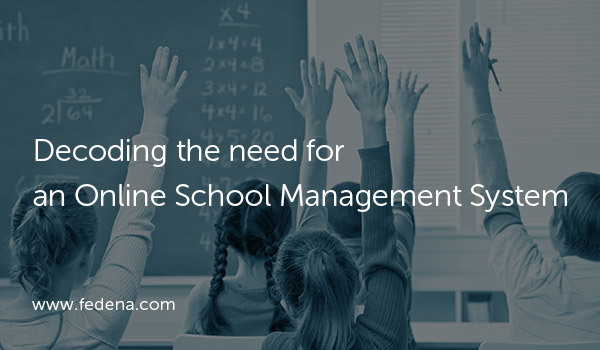 Today, many leading schools globally have sought an online school management system as a solution that controls and monitor daily operations as well as meets the needs and wants of every department. Functions such as student database management, multiple campus management, student attendance, online admissions, accounting, finance and even human resources can easily be managed by an online system. An online school management system software enables the administrators to effectively manage their institute, allocating resources where most needed, and ensuring a swift response in all situations – be it an urgent look at a student’s track record, a quick study of the school facilities usage or a glance at the admission trends. In a world, where time and resources are under constant pressure, the usability and functional efficiency associated with cloud-based software systems help schools, colleges, and other education centres to manage the students as well as their administrative activities at the click of a button, from any location. For instance, using an online payment method makes payment of fees for various classes, tuition, transportation, easy and hassle-free. An online admission system allows for easy inquiry and registration for various courses. A school ERP with generous features, easy to use and highly customizable with schools requirements allows schools teachers to have more time to dedicate to their students, instead of continually being bogged down in paperwork. The focus on school performance has never been sharper and parents are increasingly vigilant about their child’s performance, ensuring they play an active role in their child’s academic life. Using an online school management system enhances communication between the school and parents. It creates an easy platform for the parents and teachers to be in constant touch with one another, encourages an open dialogue of communication on students’ academic progress and keeps the parents in the loop on all urgent issues. Students to benefit from using an online system, where they can communicate with their peers, access information on projects, submit assignments or get their doubts resolved by their teacher. Over the past few years, it has been widely proven that using online tools for data management enhances a school’s operational and academic performance. It not only helps school administrators streamline and simplify operational tasks, but it also boosts the productivity of students and augments a positive parent-school relationship.